Good news single reader – I have survived Memorial Day weekend and my first full week on the job here at Mesa Verde! Much to my pleasant surprise my programs and tours came right back to me the moment I set foot back inside these ancient sites, and it’s only taken the teeniest bit of studying to get myself back up to par on my resource knowledge. The worst is over. The transition is done. Hurrah! This first week really couldn’t have gone more perfect. This early in the season, our visitors are not exhausted by long lines, high temperatures, and extended family vacations. Even with the holiday rush, most of our guests were relatively local, and therefore fresh in the way that short weekend trips revive you. I’ve yet to meet a single disgruntled tourist. And yet, as wonderful as the present has been, not a day has gone by where my mind hasn’t drifted back to those magical months in Mexico. I find myself constantly referencing my travels both in conversation and formal programs. 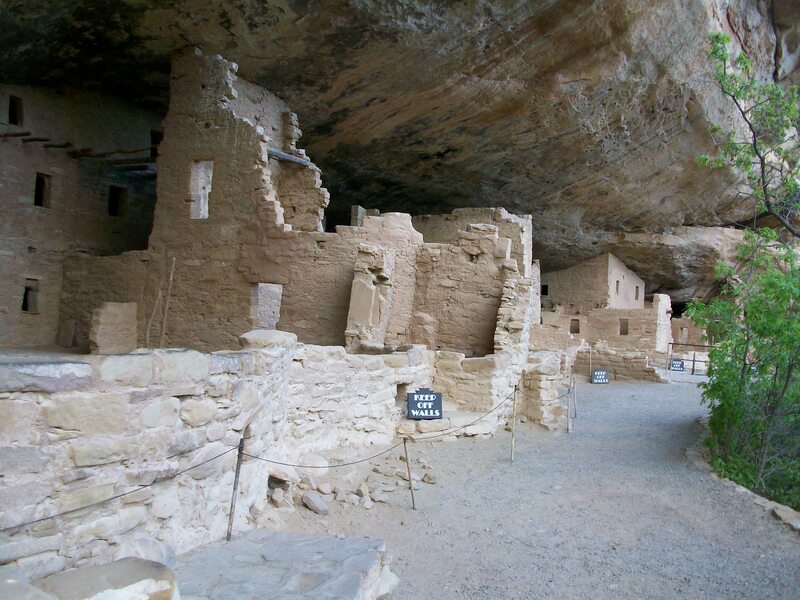 The connections between the Ancestral Puebloans of Mesa Verde and the Maya, Toltec, Mixtec, and Aztec of Mexico continue to amaze me months after I made the initial connection for myself. 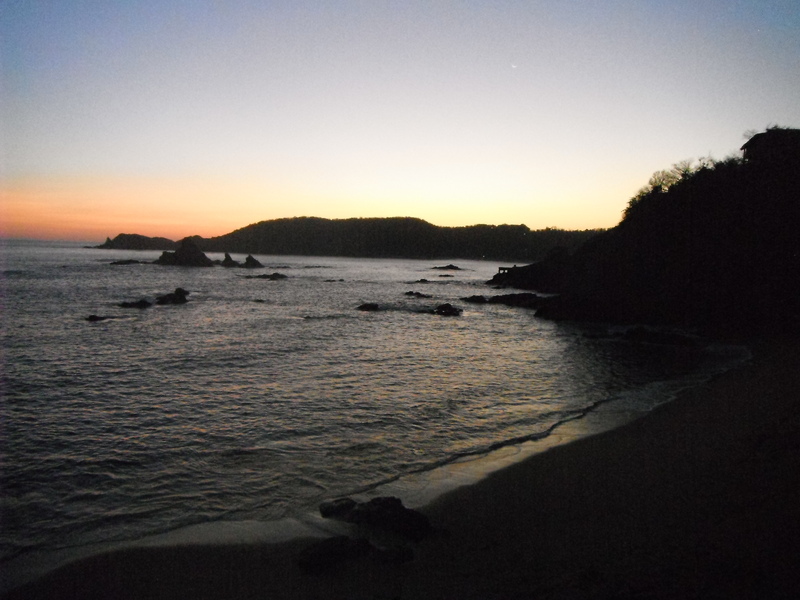 And I find myself often comparing my marvelous mesa-top sunset views with those many twilights on the Oaxacan coast. After a wonderful visit from my boyfriend and travel buddy (if you’ve been keeping up, you may remember Austin is working at Rocky Mountain National Park for the season), and lots of conversations about next winter’s travels (Nicaragua, Peru, and Southeast Asia are all high on our list), I found myself feeling especially nostalgic for our seaside spot on the Oaxacan coast. So much so that I decided to make myself an old favorite for dinner. 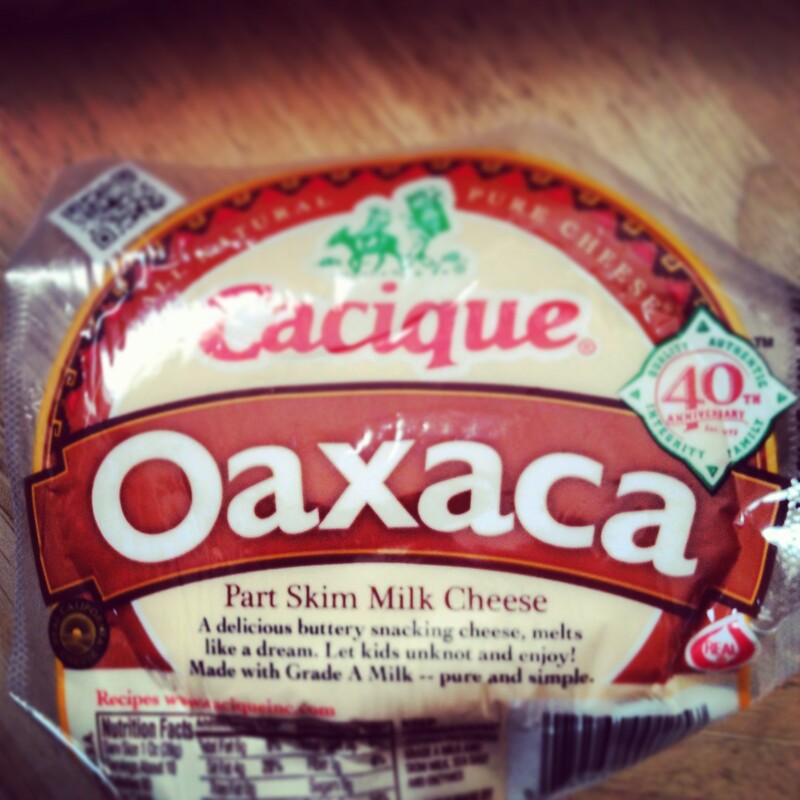 Much to my delight, I came upon a cheese very similar to this at the grocery store in Cortez just this morning. I could hardly contain my excitement as I rushed home to recreate our most common meal – quesadillas, ranchero sauce, and Mexican beer. 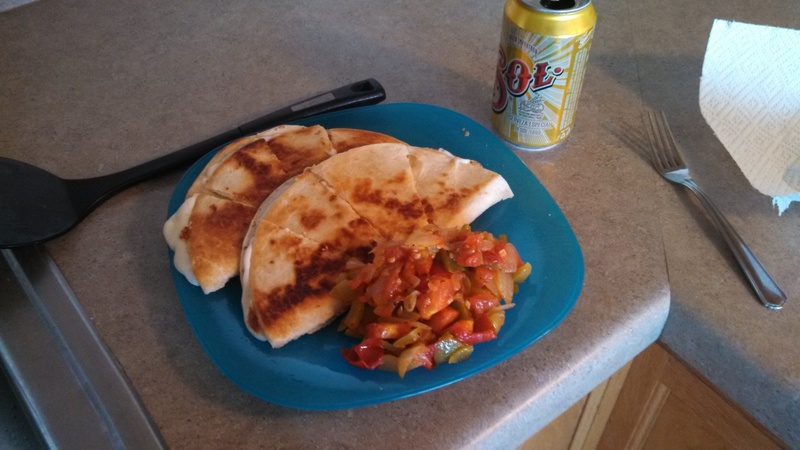 It’s a simple and easy menu: throw all the veggies you’ve got into a pot with oil and garlic (lean heavy on the tomatoes), then fry up your quesadillas in a pan with olive oil and pop open the can of your beer. The meal did transport me temporarily to our secret spot, but the ocean-less view out my window kept me grounded in reality. I am no longer in Mexico. But considering what they’re paying me to do here, Mesa Verde is not a bad alternative. My view is different, but not unattractive. And my experience south of the border this winter has already in my first week enriched my time at Mesa Verde by at least one hundred percent. It’s funny how travel, when it’s good, can keep you grounded in the present. The lessons you learn to appreciate, the things you miss when you’re away – they all sneak their way into the ‘real world’ when you return. Granted, my ‘real world’ is pretty exciting by itself these days. But each time I come back from a new adventure, I add a new perspective to my reality, and my ‘home’ life becomes that much more vivid. My motivations become more powerful, my passions become more defined, and I feel the boundaries of my own self and capabilities expand. This will be my third season at Mesa Verde, and I know already that it will be the best. Great Nana!! That recipe…I’m going to have to trait it! Come to South East Asia!!! Or China… we might be there again next year. I always love hearing your perspectives on travel. Welcome back to Mesa Verde and good luck with your tours. Be safe! Thanks Kirsten! Hope to see you soon. Possibly in your neck of the woods!